The Divine Timetable comes first. View all About the book. WE ARE IN THE VERY, VERY LAST TIMES OF THE WORLD AS WE KNOW IT. 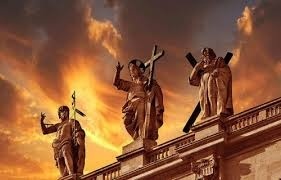 Please keep in mind Our Lord's Words; to "WATCH" (Mk13:37) (Matt. 24:23-51 & 25:1-46.) BE READY! The following question, (the question itself contained in the Booklet) is unique to these last times of the world as we know it, is for secularists/non-believers to answer. But it is of interest to both believers and non- believers, as reflected in The full Booklet's task, and which is: To help non-believers to believe, and to believe that these are the very last times of the world as we know it. And to help those who already believe to understand that these are the very last times of the world as we know it. You can read the booklet via the above link. it includes a unique question. It is for both believers and non-believers. For paper copies	 please see Booklet page. How did the Church respond to the chilling warning given in the Secret Of La Salette? 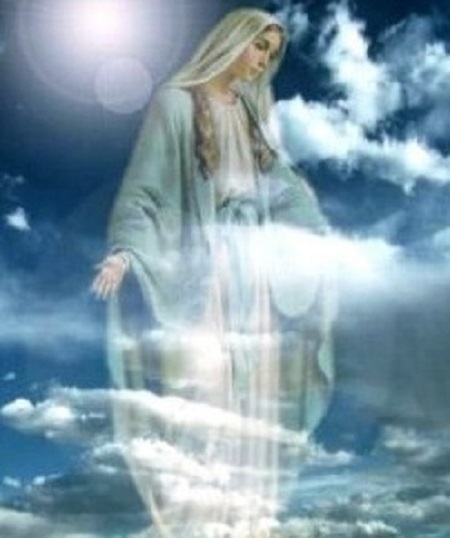 The following includes an account of the apparition, and which took place, with two recipients; Melanie and Maximin, at La Salette, France,	 in September 1846. Genesis III:XV is God's decree given just after the fall of Adam and Eve in the Garden of Eden. The bigger picture is that these are the very last times of the world as we know it. A Plan and Preparation Mission Pamphlet. A vitally important time for mankind. A focus on guidance found in The Apocalypse. *only God knows the exact time, but in His great Mercy and Love He has made much known as to the times that we are now in. To print this pamphlet please use Plan and Prepare page. What is meant by “The Lord's Second Coming in Judgement”? Does everyone need to be prepared? The Apocalypse is very powerful because of what it consists of. 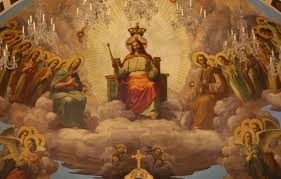 It sees the opening of the great scroll from “The throne” by the only one worthy to do so; “the Lamb;” Our Lord (Apoc. 5:1-4.) He breaks open its seven seals to reveal what were then future events. But which have now come to pass, so that we stand at the point we are now in the divine timetable. Yes; it reveals future events but also as their having come to pass, and with repetition(s) as to this, together with explanations as to their consequences. And it does this at various points which are often, but not always, in the same timeline sequence. It is set within a divine context, as reflected in its imagery. At some points we can glimpse things more clearly than others. So how do we know where we are now? Because of events that have already come to pass in history and which link to the Apocalypse to reveal where we are now to us. The Four Horseman of the Apocalypse provide for us our great clue. They are from the breaking open of the first four seals. The famine in Europe in the nineteenth century was the subject of great attention during the apparition at La Salette. Why? Famine is not new to mankind by any means. In that same apparition was given a Secret: “the Secret of La Salette” which warned of the release of Lucifer (the devil) and a great number of demons from hell, in the year 1864 (secret 11) affirmed as being in incarnate (human) form (secret 12.) This Secret and warning corresponds with the breaking open of the fourth seal, and its aftermath. Just as the fallen star must be an individual; i.e. a living intelligent being (to have been given the key to open the bottomless pit with) so too the locusts are those whom live in the Abyss (to be released from) and from out of which they come. Locusts (the insect) do not [as such] live in the Abyss, demons do (as do imprisoned human souls.) Locusts are a descriptive term. Just as 'serpent' or 'snake' is the descriptive term used for Lucifer; the devil, in the garden of Eden. “Locusts upon the earth” means incarnate demons. And this is the reality; ever increasingly since 1864! The final “flood” upon us is what mankind needs to awaken and be alert to in these very last days of the world as we know it. Alert means leading good, Faith-filled, steady, thoughtful lives, and not be led astray by the very many wrong influences that are all around. How close are we now to Our Lord's Second Coming? Very close! Only God knows the exact time, but in His great Mercy and Love He has made much known. The Apocalypse is our guide. Chapter 8 begins with the opening of the final seal; the seventh seal, and, another build-up begins. Ch 8 gives a depiction of the fall of the angels in heaven; the third, and its effects (around a third of the angels fell) a third of the lights in heaven dimmed. And then the words: “Woe, woe, woe to the inhabitants of the earth”(Apoc 8:13) And then follows chapter 9, and the opening of the abyss. Chapter 10 begins with much heavenly imagery, and St John is told that he must “prophesy again.” Then follows the intense, but far more detailed, build up to where we are now (we are in chapter 14.) This build-up comprises of chapter eleven, which shows figures of the Old and New Testament (together with Biblical imagery) and the prevailing and resoluteness of their words. Chapter 12 is a figure of the Church; The Old and New Covenant. Chapter 13 tells of “the beasts” and their ways. This can be interpreted as meaning increasingly placing the creature, man, before his Creator, God. The Beasts influence the wrong path of mankind And they are clearly associated, in chapter 13, with excess and extravagance. Chapter 14 is a very intense build-up (we are well into ch 14) to Our Lord's Second Coming, which is at ch 14;14. We must have “overcome” and (be on the sea of glass (ch 15) in immediate preparation for the culmination of the great spiritual battle; Armagedon (ch16.) And when God will rid us of the final chastisement. And there is the harvest “reaping.” As I understand it, much will happen simultaneously. And much sparse land there will be! This is Biblical. This is epic. The Alpha and The Omega. What does being on the “Sea of Glass” mean? The Song of Moses (Deut. 3:21-43.) has a great focus on how we must Fear God. Give Him great glory. Show great gratitude to Him. The song of the Lamb is Our Lord's Victory. It is His triumph over death and hell. We must be joined with Him in His glorious resurrection from the dead. Be in His ways; teachings, and commands, Be in the way of Truth. THE Truth. The Seven gifts of God The Holy Spirit: WISDOM * UNDERSTANDING * COUNSEL * FORTITUDE * KNOWLEDGE * PIETY * FEAR OF THE LORD. And as I, Angela, have always described it, I felt over a hundred feet tall, and I felt as though I could have stepped across to France from the cliff top in two steps. 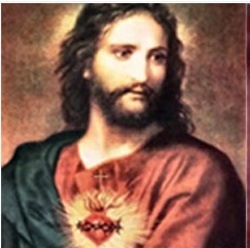 This is 40 years before 2032, the date that many scholars believe will be exactly two thousand years since Our Lord's glorious resurrection from the dead and His Ascension into heaven. Forty years is the Biblical time of preparation and culmination; the flood waters were on the earth for 40 days (Gen 8:6) the Israelites spent 40 years in the desert (Jos.5:6.) 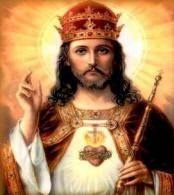 Our Lord's 40 days period of fasting (Matt.4:1-2) the 40 days between Our Lord's resurrection and His Ascension(Acts 1:3.) 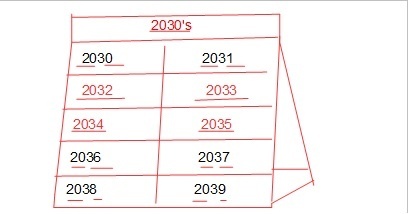 2032 could also be just before, in the same way as the Ascension is just before Pentecost. Of course only God knows when the exact time will be. But the 2030's is rightly anticipated (should be a profound focus of attention) to be the decade of Our Lord's glorious Second Coming in Judgement. Mankind is in very great need. The greatest need. Please pray for direct help from God.